FJX2000, ZerosFJ, debFJVT and 2 others like this. 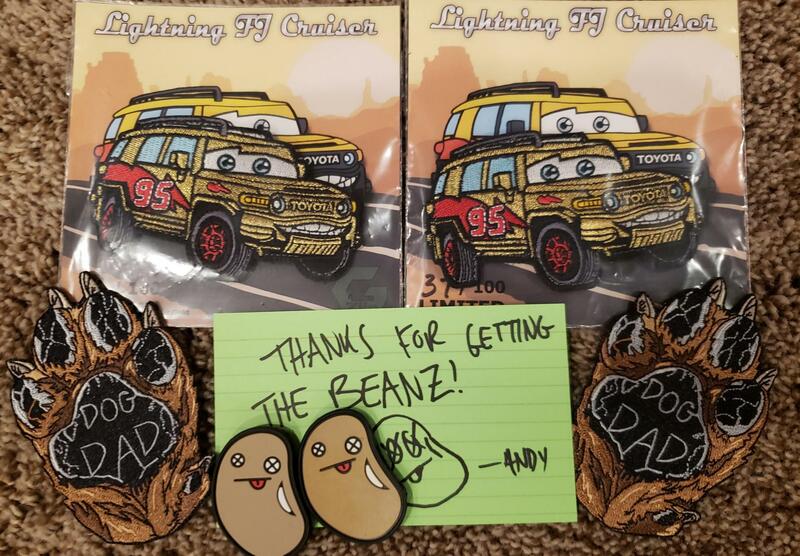 Got these after my recent Utah National Parks trip! NW FJC, debFJVT, Lee44 and 1 others like this. 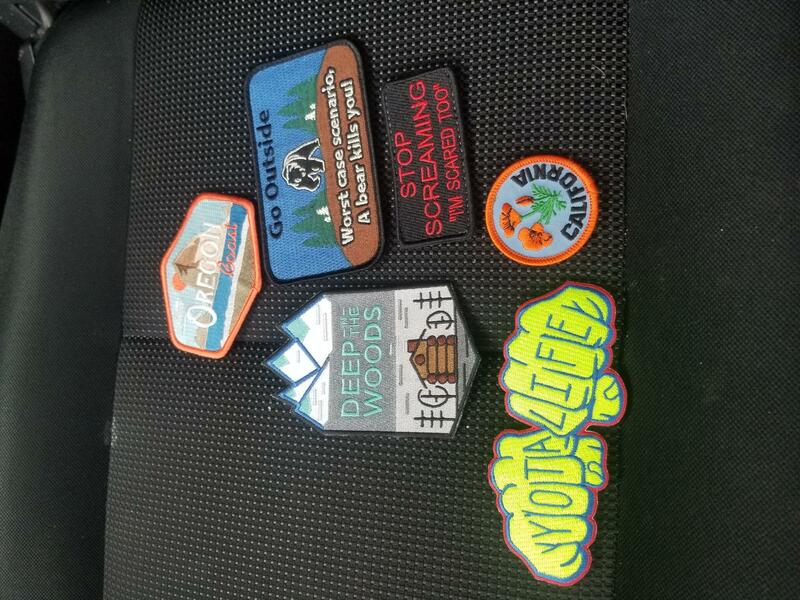 Do the patches come with the Velcro hook on the back? Do they all have that? How was the weather in SE Utah this time of year? If you have patches with no Velcro but are iron on you can iron them onto the velcro easily, use a hot iron and a cloth over the patch, iron the patch side or you'll likely melt the velcro. If the patches are plain backed you can buy the iron on in sheets (its kind like a membrane and comes between paper layers), its very thin and better than using glue or self adhesive velcro which is bulkier. debFJVT and Lee44 like this. And the weather in Moab was nice! Not too hot but a little cool, as long as you had a light jacket you're fine. Bryce Canyon still had a ton of snow so most of the park was closed and it was way cold! And oddly enough on Zion it was rainy the whole time but not too cold. Lee44 and Duke Broadway like this. 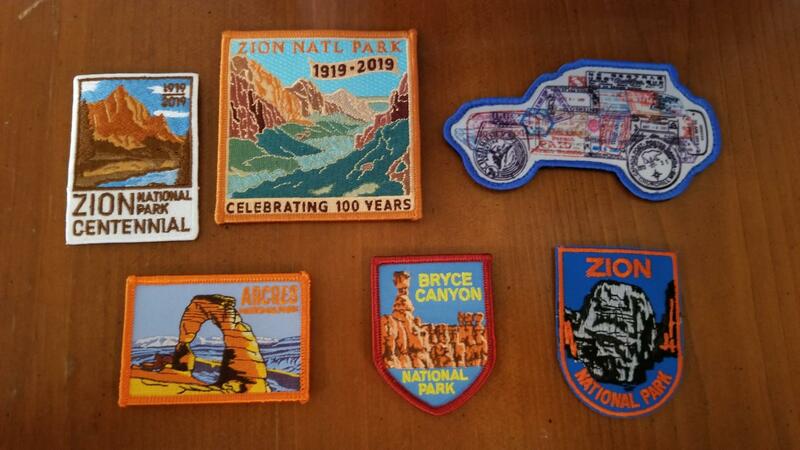 I remember going to Bryce Canyon with my parents on year. Beautiful place. I remember seeing some trees with massive trunks. I think this is the stuff my wife got me for Christmas for my non velcroed patches. Inexpensive and really easy to use. Stuff is really tacky. ZerosFJ, debFJVT, Lee44 and 1 others like this. Here is my most recent additions. "You don't need to worry about visibility over the hood....thats why cactus are so tall...just point the truck where the no cactus are and floor it."